London (AFP) - A defiant world athletics president Sebastian Coe said on Wednesday that he had had no inkling of corruption within his organisation and defended his links with American sportswear giant Nike. Lamine Diack, Coe's predecessor as International Association of Athletics Federations (IAAF) president, is being investigated by French authorities over claims he took bribes to cover up doping offences. The World Anti-doping Agency (WADA) is also preparing a report on allegations of corruption within the IAAF, where Coe was vice-president for eight years prior to his appointment as president in August. 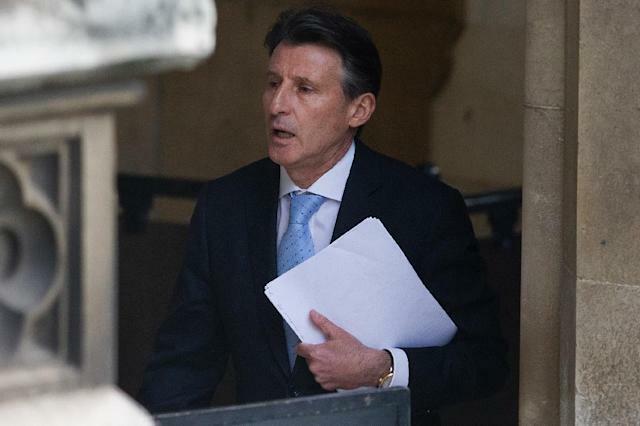 But when asked by the British parliament's Culture, Media and Sport committee if he had heard any "whispers" about corruption within the organisation, Coe replied flatly: "No." Coe, 59, had previously described Diack as the sport's "spiritual leader" and said that he reacted with "shock, sorrow and anger" when he learnt of his arrest. But he said he had not asked Diack about corruption allegations levelled at his son, Pape Diack, who stepped down from his position as an IAAF marketing consultant a year ago. "No, because there were no allegations being made about the president (at the time)," Coe explained. When it was put to him that the IAAF was corrupt, Coe replied: "No, it's not a corrupt organisation." 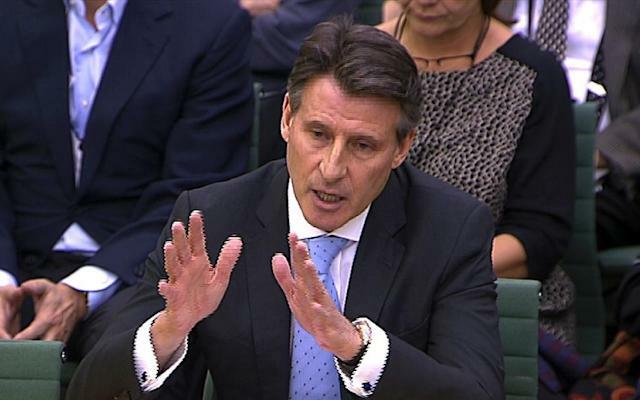 Coe was speaking during a three-hour grilling by British lawmakers at London's Houses of Parliament. He reiterated his stance that his 38-year association with Nike, for whom he worked as an ambassador prior to relinquishing the role last week, was not a conflict of interest. The BBC last week published an email from a senior Nike executive that suggested Coe had lobbied Diack for the 2021 World Championships to be awarded to Eugene, Oregon, where Nike was founded. When asked if it had been in Nike's interest for the event to be awarded to Eugene -- which it was, without a formal bid process -- Coe said: "I don't conclude that." On the nature of his communications with Nike, Coe said: "I was asked the question. I gave a view that Eugene needed to get back into the competition and get into the next bid cycle." Asked if his relationship with Nike represented a conflict of interest, he said: "It would have been if it hadn't been properly identified." Coe refused to apologise for describing allegations of doping in athletics as a "declaration of war", having used that phrase in August after the Sunday Times and German broadcaster ARD claimed to have unearthed evidence of hundreds of suspicious blood samples. An independent WADA commission subsequently published evidence of endemic, state-supported doping by Russian athletes. Coe said he would not "step back" from his stance, but admitted: "I probably might have chosen different language." Coe expressed regret that Russian whistleblowers Vitaly and Yulia Stepanovs, a former Russian Anti-doping Agency (RUSADA) official and his athlete wife, had been forced into hiding. "I'm clearly sorry," Coe said. "I want whistle-blowers. This is not just lip-service." Prior to becoming IAAF vice-president in 2007, Coe was appointed as the first ethics commission chairman for world football's governing body FIFA, an organisation currently mired in corruption allegations of its own. He therefore has links to two of the biggest scandals in modern sport, but he was bullish when he was asked why people should believe that he is the right person to clean up athletics. "Because I have the experience to do that. I have the support of the sport to do that," said Coe, who won two Olympic gold medals in the 1500 metres during a glittering track career. "Have there been failures? Yes. Will we fix them? Absolutely. I'm absolutely focused on doing that. If we don't do that, there are no tomorrows for my sport. This is the crossroads." Coe described the recent revelations as a "horror show" and said that he was prepared to double the IAAF's anti-doping budget, which currently stands at $4 million.